University researchers have developed an app to help medical professionals capture consistent photographs of the underside of diabetics’ feet in order to better detect foot ulcers and monitor treatment. The Manchester Metropolitan University academics - Dr Moi Hoon Yap, a Senior Lecturer in Computer Science, and Professor Neil Reeves, Professor of Musculoskeletal Biomechanics - created FootSnap to run on an iPad tablet device. Podiatry is vitally important for people with diabetes because they are more prone to the emergence of foot problems due to the damage that raised blood sugars can cause to sensation and blood circulation. The development of foot ulcers and the loss of sensation in the lower extremities can create a cycle of tissue damage and other foot complications and so careful routine observation and examination is vital. With the aid of a tripod and a portable LED spotlight, FootSnap assists clinicians to capture uniform images of the bottom of someone’s feet no matter what time or place. It therefore allows changes in a patient’s physiology to be more easily tracked and compared over time, with the aim of leading to a timely diagnosis of abnormalities or disease. Prof Reeves said: “A diabetic foot ulcer is an open wound on the foot and represents a major problem for people with diabetes, being very difficult to heal and in some cases leading on to amputation. “The app that we have developed at the moment standardises foot photographs. “Feet may not necessarily be photographed by clinicians at the moment. If they are, the pictures are not standardised for distance, orientation and lighting as we do with this app. “The standardisation feature of the app is however, only the first stage of what we will go onto achieve with this app. “We are now incorporating more sophisticated algorithms as part of the app, which allow for state-of-the-art monitoring and prevention of foot ulceration over time. 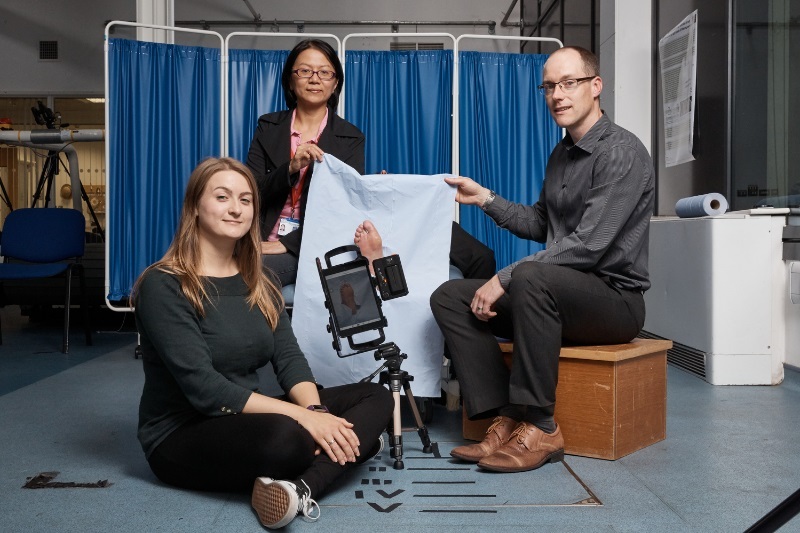 FootSnap, developed with the help of PhD researchers Katie Chatwin and Manu Goyal, guides medical professionals to orientate and align the patient’s foot in such a way as to build up a portfolio of uniform images for comparison to assist diagnosis and prognosis. The app should be available to download in the near future and the developers envisage further evolution of the program will enable it to be used on smartphones and other devices and by less well-trained operators. Dr Yap said: “FootSnap is a mobile application based on the concept of data-driven research and Internet of Things. “It was embedded with image processing algorithms to enable standardisation of data capturing. 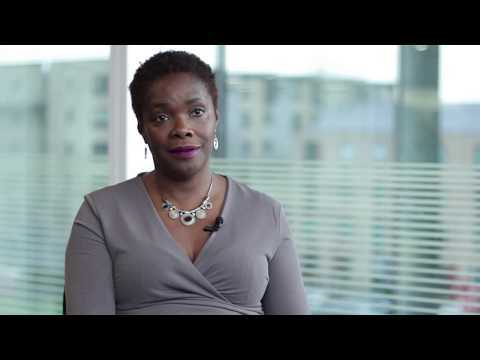 “With Lancashire Teaching Hospitals NHS Foundation Trust, we collected a large-scale dataset with ground truth annotation of the ulcers. “We introduced an end-to-end solution using a deep learning approach for the detection of diabetic foot ulcers with high accuracy. To test the reliability of FootSnap, Prof Reeves and Dr Yap conducted a successful proof of concept study, as reported in a recent paper published in the Journal of Diabetes Science and Technology. They compared and analysed how two operators photographed the feet of 15 people with diabetes, aged between 43 and 74, and 15 non-diabetic control volunteers. The authors concluded: "Standardization of plantar foot photographs with FootSnap will allow the future implementation of advanced computer vision algorithms with these images, which can be used for monitoring changes in diabetic foot shape, texture, and colour during longitudinal clinical trials or as part of state-of-the-art clinical monitoring procedures. "This technology may represent the first stage toward a meaningful step forward in the prevention and management of diabetic foot pathologies."